Both Victory Patterns' paper patterns and digital pdf downloadable patterns are available from the Backstitch website, although Victory's Hannah Dress is currently only available as a digital pdf pattern. Victory Patterns is a Canadian sewing pattern company based in Toronto. 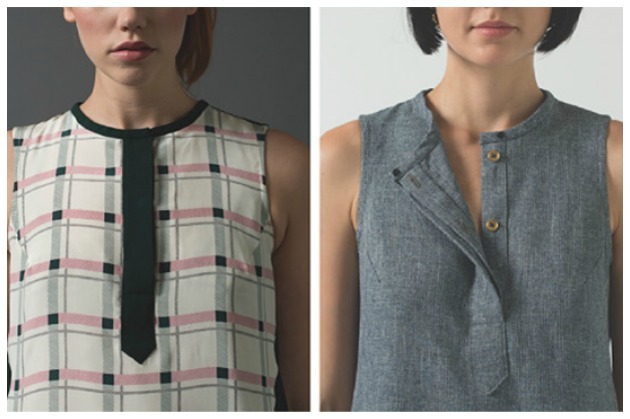 Their fashion forward patterns strike a balance between vintage and modern fashion aesthetics. They take pride in creating a quality product that features clear instructions, produces a great fit and has savvy style sensibility. Victory's Hannah is a sleeveless dress with a subtle A-line shift silhouette. It features angled side seams and front pockets which transition cleverly into folding side-panels that wrap around to the back and criss-cross over each other. The hemline, with its upward curve at the sides and a subtle dip in the back, takes its inspiration from men’s shirting. A high neckline is edged with a double fold binding. 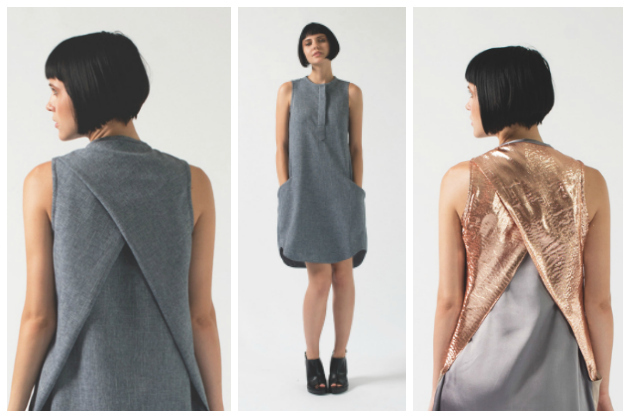 Version 1 makes a minimal dress with one common fabric throughout. Version 2 allows you to colour block by contrasting the side panels, button placket and neck binding, thereby framing the dress and playing up the geometric shapes. The button up front is concealed with a hidden button placket for a minimal touch. The Hannah dress boasts a handful of details that you’ll have fun sewing. Designed for an intermediate level, this pattern will teach you how to: work with bias edges; master a hidden button placket; finish a curved hemline with facing; finish a neckline with double fold bias binding; and face an armhole with a single bias facing. 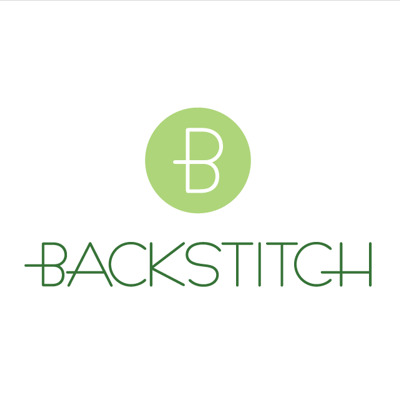 To buy a digital pattern from us here at Backstitch, you add downloadable products to your basket as usual. If you are ordering only digital patterns then there will of course be no postage cost, and on completion of payment you can log in to your account on the Backstitch website and click on 'My Downloadable Products' to locate the download links. You have five chances to download the PDF and you are responsible for saving it in a safe place. The document will be watermarked with your name and email address as a security measure.